I pride myself on being that person that has popped many an Opera cherry. Since I love going so much I always appreciate the opportunity to introduce others to one of my favorite art forms. Summer is over which means warm weather is on its way out, but it’s time to bundle up and get warm inside the Lyric Opera. The season kicked off with an amazing rendition of Wagner’s Das Rheingold but the last performance is this weekend! Here are my top reasons in no particular order why your weekend plans need to include Das Rheingold. Even as a veteran opera attendee, there are some operas where I have no clue what’s going on. Thank goodness for Lyric’s incredibly useful programs that give a scene by scene summary. However, Das Rheingold was so easy to follow, there was no need for me to open the program. The music, the set design, and the impeccable acting told the story was just enough to tell the story. I highly recommend Das Rheingold if you are an opera newbie. Most operas can easily set you back a good 4 hours out of your day, but Das Rheingold cuts right to the chase and only takes up 2 hours of your time. This is the first of 4 operas so all together the story will take a bit of time. However, Das Rheingold is the perfect introduction to such an electrifying tale. If you are a busy bee but you need your Opera fix then Das Rheingold won’t be too taxing on your schedule. Plus, you’ll be able to squeeze in a nice dinner after the show since you’ll get out before the restaurants close. If you love fantasy and you wish the opera had more mermaids, giants, Norse gods, and cursed rings then you are in luck at Das Rheingold. Many Operas are based on true events or they are recreations of moments in history; which is why every once in a while we need a break from reality and a taste of fantasy. 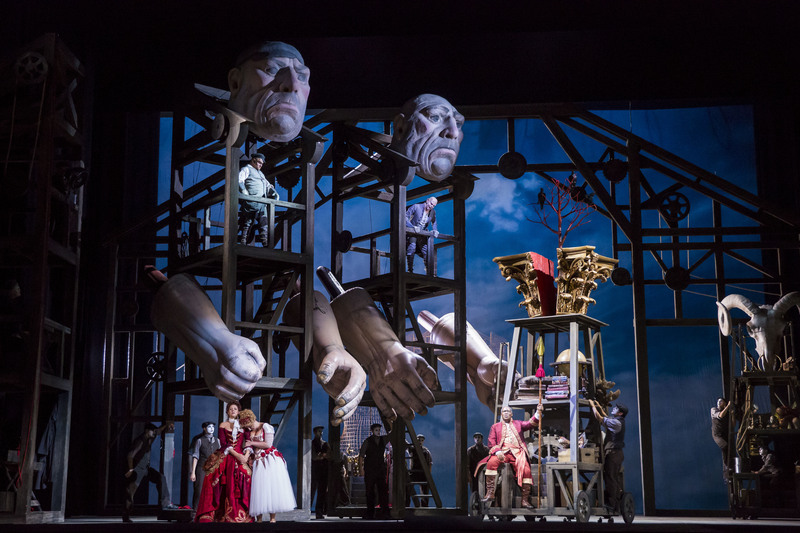 Das Rheingold does a great job of immersing the audience in a world of fantasy with a compelling storyline and an equally captivating set design. Opera legend Eric Owens plays the leading role of Wotan. He is the Musical America’s 2017 Vocalist of the Year and he is an Opera legend. Essentially, people go to the Opera just to see him perform so don’t miss your chance to see one of the Opera greats. Sir Andrew Davis is the conductor of this masterpiece. The cinematic music fits perfectly with the story creating a truly immersive experience for the audience. Plus, the music is non-stop so this is great for those of you who truly love music and the Chicago Symphony Orchestra. You’ll walk away humming along to a few tunes. While I highly recommend Das Rheingold, you can never go wrong with a night at the Opera.